Sorry, this month's FOTM will be short and sweet. Basically, if you are not aware of the fly the Keta Rose, you should be. Especially for the next few months. 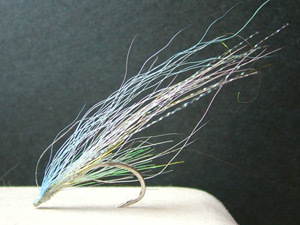 Here is the recipe, but I will leave it to the creator Doug Rose to tell you the thinking behind the fly. Here is the February Garden Hackle: Please click the link below.